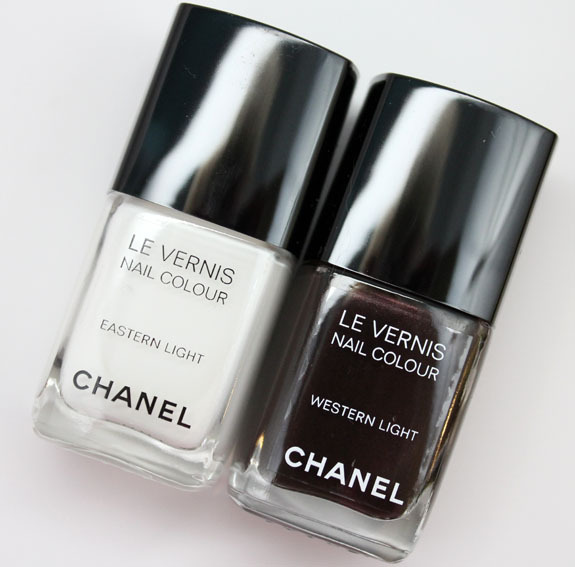 Chanel Le Vernis Eastern Light and Western Light are limited edition Nail Colours out right now and part of the Hong Kong de Chanel collection. I had been kinda sorta coveting these, especially Western Light, and kinda sorta poked around at a Nordstrom looking for them once, to no avail. I kinda sorta forgot about them until Taboo came out. Since I ordered that one I kinda sorta added these to my cart also! 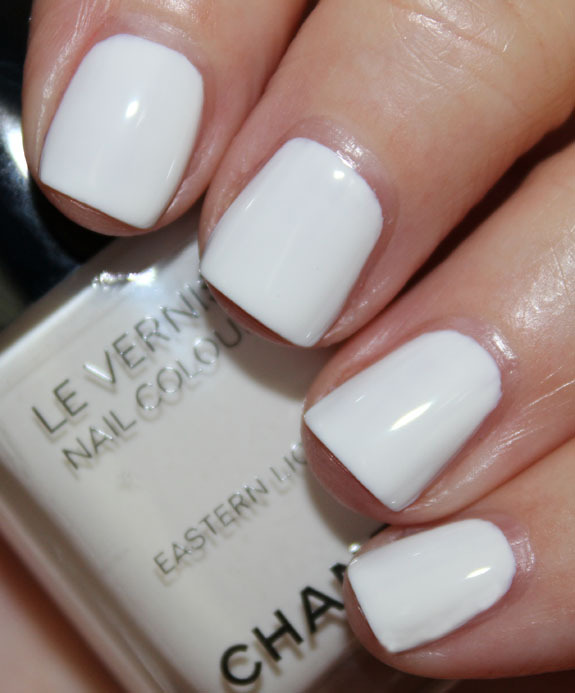 Eastern Light is a soft white creme. Normally I wouldn’t go and spend this kind of money on a plain white creme, but something about this shade made me want it. I think it was because of some gorgeous swatches I saw! It’s not a harsh, White-Out type of white. It’s kind of marshmallow-y. It’s completely opaque in two coats. 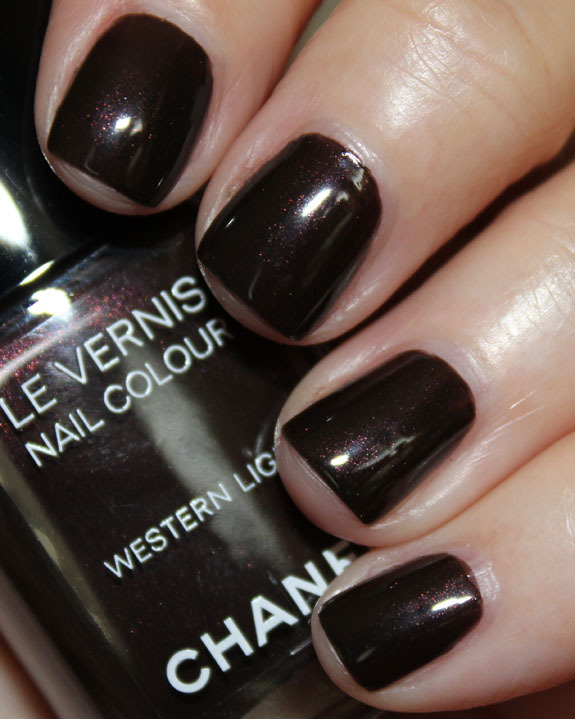 Western Light is a very dark chocolate brown with hidden red and gold shimmer. 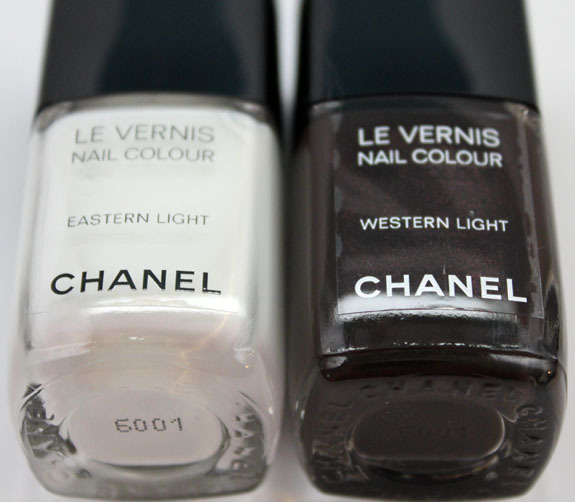 Yes indeed it is a really dark shade and the shimmer isn’t all that obvious. But what can I say, I am a sucker for these shades. Excellent coverage, I could probably use just one coat, but I used two. Yes, no, maybe so if they were less expensive?